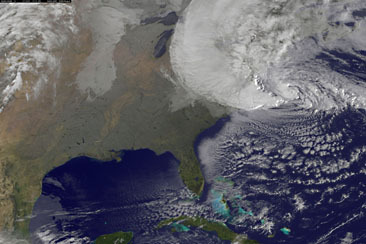 Will Romney Try to Exploit Hurricane Sandy? Friend: This may be the election right here. If Obama can look like he’s handling this competently and in control he should be okay. But I’m sure Romney’s people are all in a room trying to figure out how to make this Obama’s Katrina. probably waiting for Romney to say something obviously excessive. Friend: I’d watch Drudge for the cues. He should have a picture of a stranded black person up at some point tomorrow. The wingers will certainly be looking for some kind of Sandy-related incompetence to hang on Obama, but I really do think the press will be on the watch for this and ready to pounce. It’s such an obvious thing for a desperate campaign to do, and exploiting a tragedy like this a week before an election would be a little too raw even for our conflict-loving media. Unless Obama really screws up something badly, Romney would probably be best served by quietly telling his surrogates to cool it on Sandy.